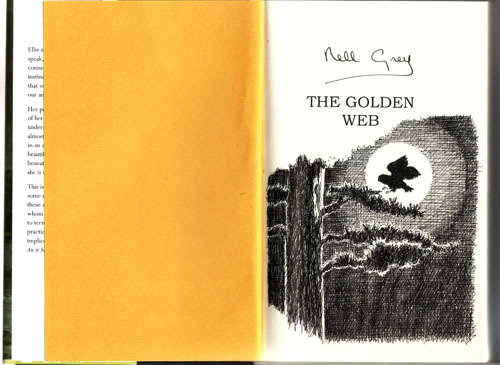 This is the first edition in hardback, produced especially for collectors in a limited edition of strictly 500 copies. 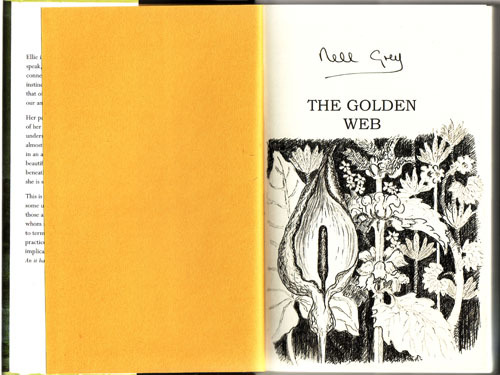 The matt-laminated dustjacket protects a black Wibalin fine-linen finish cover with gold blocking on the spine and the front - see photograph left. For locations outside the UK please send an email to Fig Tree Press (link above) to order and set postage. All payments may also be made via PayPal to [email protected] Enquiries will be answered promptly, and orders sent out immediately after publication date on 1st May 2005. 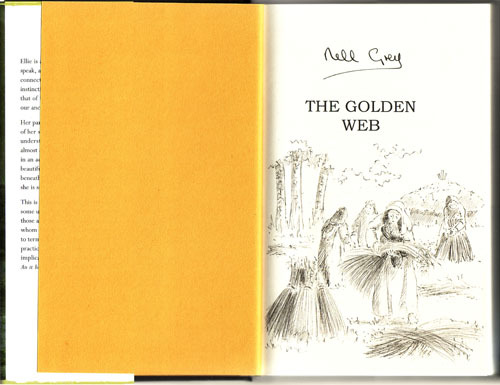 Please note that the 50 copies with colour illustrations to the title pages are now sold out. 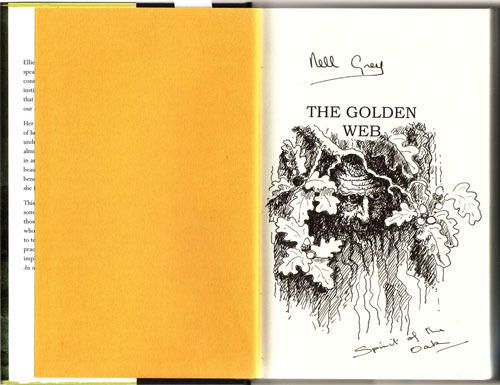 Due to the popularity of the coloured illustrations to the title pages of 50 of the Collectors’ Edition of The Golden Web, Nell has now completed 52 unique drawings in pen and ink. 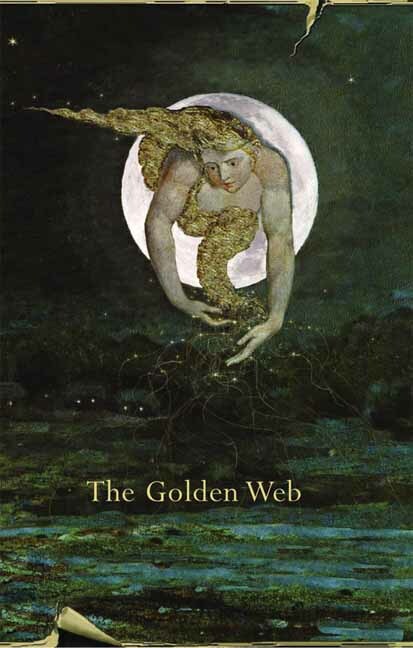 We’ve decided to offer these paired with copies lined with rhyming couplets from The Wiccan Rede, which features in the book. 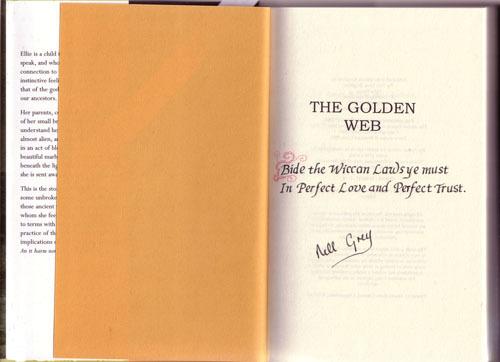 As there are 26 couplets in the poem, there are two books featuring each couplet (plus the author’s signature). Each pair of books is offered for £40, plus £4 postage, packing and insurance (UK only, email Fig Tree Press for overseas rates). Enquiries will be answered promptly.